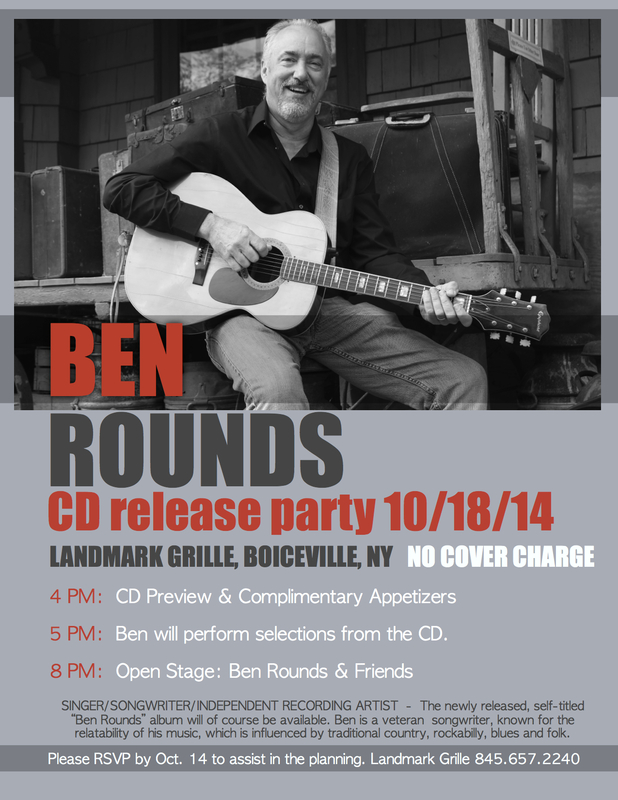 Home>Events>You Are Invited: CD RELEASE PARTY – Saturday, Oct. 18 at the Landmark! Ben would like to personally thank all his fans and friends for their support over the last year that helped make this album happen. Make sure you arrive at 4pm, there will be a round of delicious complimentary appetizers to go along with the CD preview. This is the perfect time for picking up a CD and getting Ben’s autograph. At 8pm, Ben will be back on stage, joined by a few surprise guests. This is the show of the season. Be there! So happy for you,Ben! !Your music is FANtastic! !All the best to you and your music! !